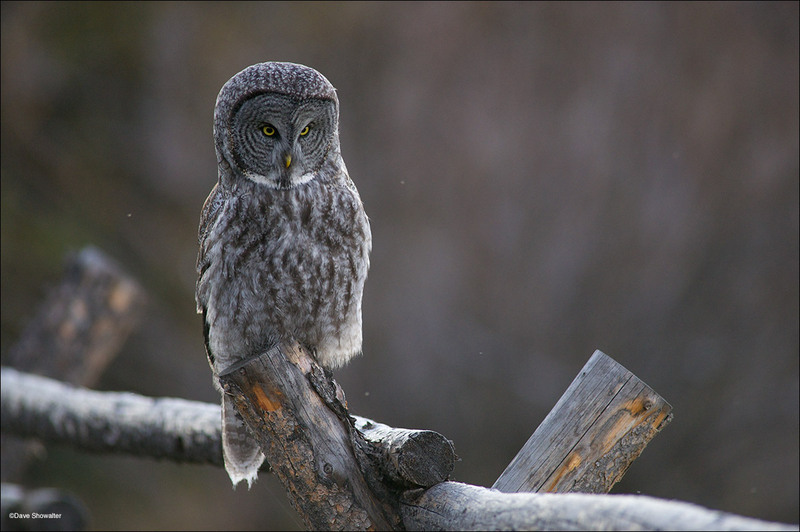 A great gray owl hunts from a ranch fence in Jackson Hole. Although considered uncommon, great grays can be spotted anytime of year in the Greater Yellowstone Ecosystem. They are North America's largest owl, reaching 27" in length. Great grays are easily recognized by their white "bow tie". Strix nebulosa. Photo © copyright by Dave Showalter.